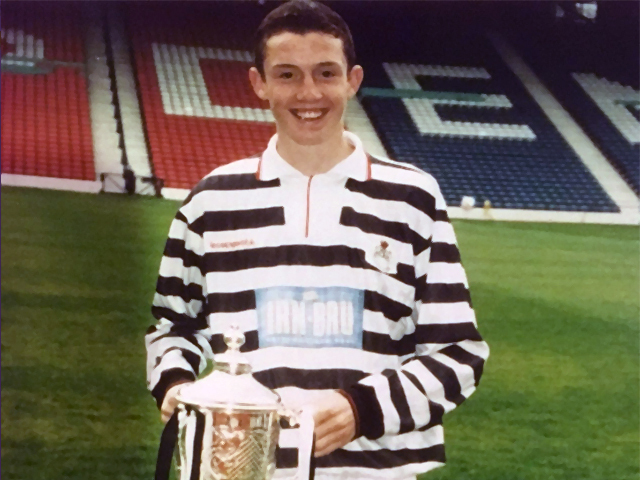 Today we have professional footballer and massive Kilmarnock fan Neill Collins joining us to talk us through his career and about some of his highlights following Ayrshire's finest. We have some excellent stories featuring below today including a disagreement with ex-Killie Assistant Billy Brown, hilarious story about a last minute winner at Somerset and many other Killie favourites. 1) Who was your biggest influence growing up as a kid? The biggest influence on me growing up was my parents and in terms of football my Dad. He played professional football himself for Airdrie and spent time playing for a very good Auchinleck Talbot team. He knew when to push me and when to encourage me. Without doubt his influence gave me the confidence to believe I was good enough to have a career in the game especially during times when other people doubted me. 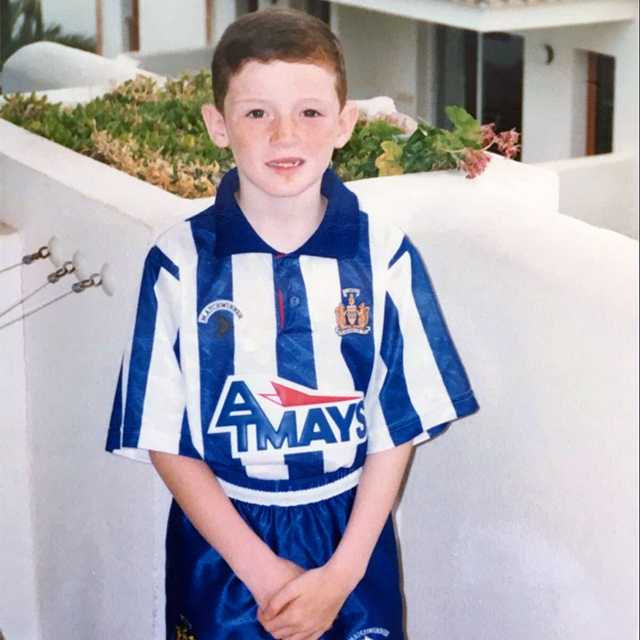 2) I read that you were released by Kilmarnock's youth team at age 13, how difficult was that to take and also as a fan of the club? I was released by Killie at around 13 years old. It was terrible at the time but probably proved to be the making of me. I remember Stuart McLean telling me the news and I was devastated. I managed to hide my emotion until I got in the car with my Dad then burst out in tears. I genuinely believed I was going to play for the club I supported and this was not what I had in mind. The biggest disappointment looking back was the short sightedness of the decision as I hadn’t developed as much as other players physically. For example Kris Boyd was in my team but he was like a man and I was still a boy while technically I was good I was hadn’t fully developed physically. What this whole episode did was give me the biggest motivation and desire to prove the people that had made the decision wrong. 3) Queen's Park followed for you a year of two later and then onto Dumbarton. How were the lower leagues for your development? I joined Queen's Park at 15 and loved every minute of my time there. I played in their under 16 team that won every game that season and comfortably beat Killie 8-2 amongst other Pro Youth teams. It was one of the most enjoyable points of my career. I think Queen's Park is a fantastic place for young players to begin their careers and learn the game. After playing a full season for Queen's Park first team at the age of 18, Dumbarton came in for me after playing against them in pre-season. Dumbarton was a step up the ladder and I got the opportunity to play with better and more experienced players. In my first season I played with Gary McCutcheon and one of my favourite players growing up, Tam Brown. I captained the team at 19 and we narrowly missed out on promotion by one point. It was a huge part of my development and I made some very good friends during my time at both clubs. I don’t think I could have had a better learning experience after playing over a 100 games in the Scottish 2nd and 3rd Division. 4) You were on trial at Kilmarnock before signing for Sunderland in 2004, why didn't that move materialise for you do you think? I did join Killie on trial before signing for Sunderland but the move never happened as the club never tried to make it happen. 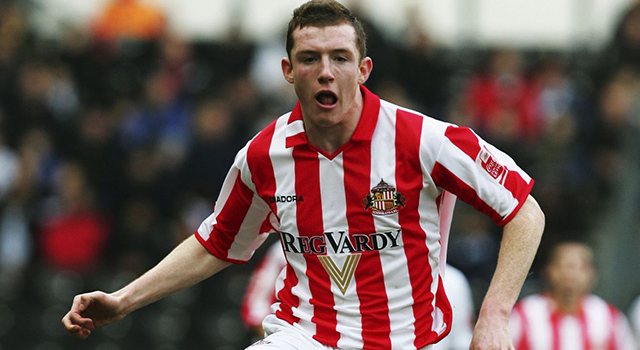 Gordon Smith arranged for me to go in for pre-season before my trial at Sunderland. In my first week we got ran in to the ground in what was possibly one of the hardest pre-seasons I have ever done. I was one of the fittest players there but I never got the opportunity to play any football or impress during any practice games with the team despite the fact they were desperately looking for a centre back. At the end of my first week Jim Jefferies and Billy Brown pulled me into the office and explained that the £25k transfer fee to activate my get out clause would be too expensive. To be perfectly honest I don’t think they made any effort to look at me as they weren’t interested in signing a young centre back from the second division. One of the things that motivated me most after the whole experience was Billy Brown’s condescending attitude towards me. He tried to patronise me at first by saying they would come to watch me next year at Dumbarton. After I explained that I wasn’t going back to Dumbarton he retorted with “Who do you think is going to sign you?” He quite clearly couldn’t get his head round the idea that there might be some good players in the lower divisions that you actually had to go and scout and see for yourself what they had to offer. 5) You showed Billy Brown up that is for sure and went on to make a great career for yourself and played against many great players, can you name the top three opponents you faced? Wayne Rooney, Kevin Phillips & Bastien Schweinstiger - all exceptional footballers. 6) Having played for some really big clubs in England such as Sunderland, Leeds, Sheffield United & Wolves...what would you say your best moment was during your time in England? 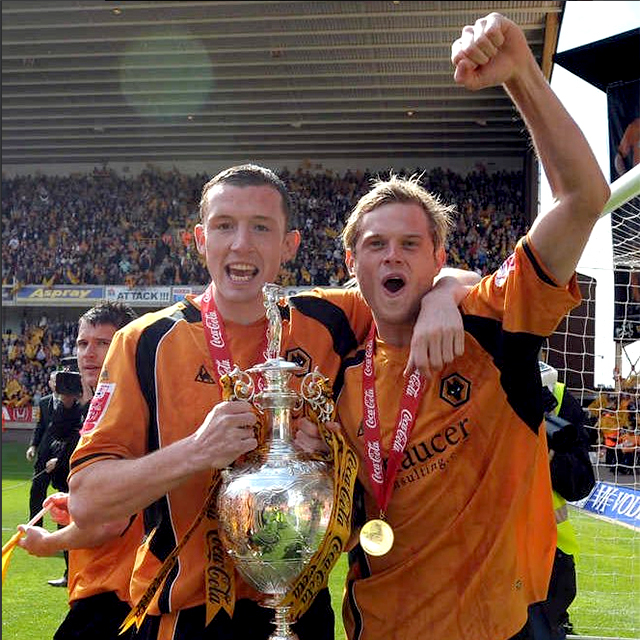 league title at Wolves and Sunderland were both special but I was probably too young to really appreciate both of those achievements. 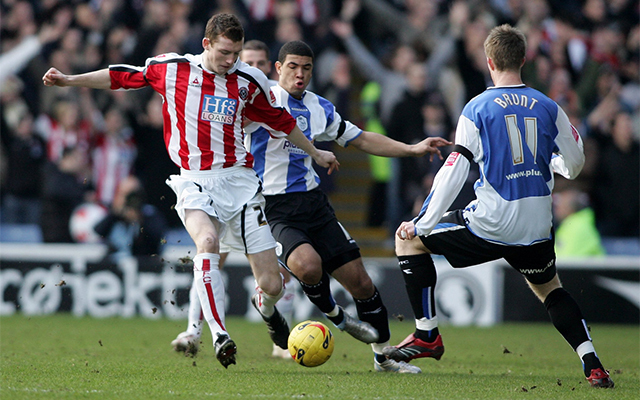 I really enjoyed the FA Cup run with Sheffield United as we broke some records along the way winning ten games on the bounce and keeping eight consecutive clean sheets I think I played some of my best football during that period. 7) If you had to choose a favourite goal you have scored in your career which one would it be? Again very tough as I have been fortunate to score a few important goals. I scored a last minute winner for Wolves away to Doncaster that sent us well clear at the top of the league at Christmas time. The away end was packed that day with thousands of Wolves fans and the atmosphere in the dressing room after that goal was hard to beat so I will go for that one. 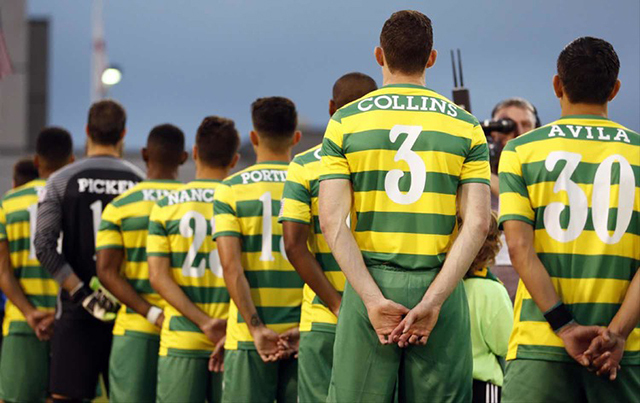 8) You are now playing out in Florida with the Tampa Bay Rowdies, how is it going out there? 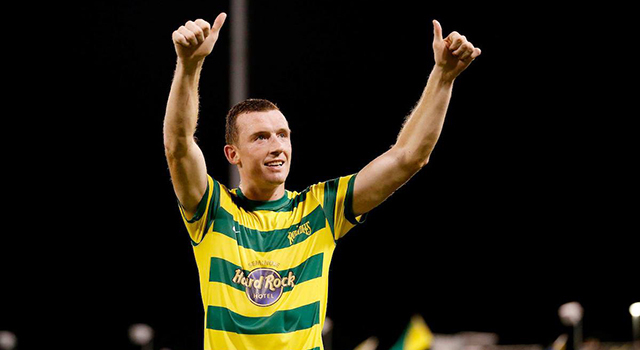 I love living in Florida and really enjoy playing for the Tampa Bay Rowdies. It is a great club that is really well run and our home stadium is unique being based near a Marina with a beautiful pitch. The travelling takes some getting used to but it has been great to experience a different culture and meet new people. 9) You make it no secret that you are a massive Kilmarnock supporter but how did your love of Ayrshire's Premier club come about? My Dad was brought up around a lot of staunch Celtic fans but he chose to support his local team, Kilmarnock. He took me to my first game around the age of five. If my memory serves me correctly it was against Brechin at Rugby Park and Tommy Sloan scored the winner. I have various memories from my first few visits and I particularly remember a bad defeat away to East Stirling and the Killie fans voicing their displeasure. This was before things started to improve and our rise through the divisions. 10) Who were your favourite Killie players growing up? This list could be much longer as I loved so many players growing up for a number of different reasons. My all time favourite was Tommy Burns but I had a variety of different names on the back of my various Killie jerseys, Gary Holt & John Henry to name but two. As a centre back I used to love Andy Millen and the way he played. He was a class act. Ally Mitchell was an under rated player that was also one of my all time favourites. Dylan Kerr, Drago Lekovic I could go on forever. 11) Do you have a favourite match that you attended as a supporter? There have been many fantastic days as a Killie fan and it would be easy to pick the Scottish Cup final but a personal favourite was beating Rangers at Ibrox 2-1 when Bobby Williamson tapped in a last minute winner. It was our first year back in the Premier League. I was surrounded by Rangers fans at school and they were the dominant force in Scottish football at that time. 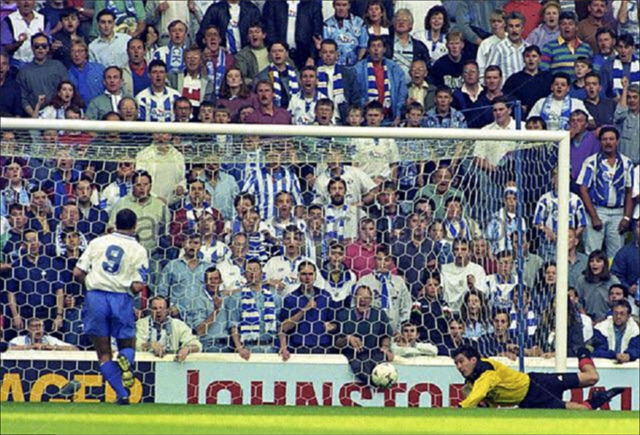 When the ball was put in the net the feeling was unbelievable and I can remember going absolutely berserk. It was also great to know I was going to have bragging rights amongst my friends even if it was only for one night. 12) Your favourite Kilmarnock shirt of all time? Would have to be the jersey we wore the year we got promoted out of the first division. Absolutely loved that one. 13) You played against the mob South of Symington a couple of times in your career, how was it playing against your boyhood clubs rivals? I think I am right in saying I have played against "THEM" twice in my career with a 100% record. At Dumbarton we played them in cup competitions two years running. In the first game at The Rock we beat them 3-0. I was directly up against Eddie Annand and James Grady. When the third goal went in we celebrated right in front of the main stand and I caught eyes with one guy in the A*r end that looked like he was going to burst a blood vessel as he tried to get on the pitch to throttle me. I absolutely loved it. A year later we went down to the Piggery and were drawing 1-1 until late on. When we came out for the 2nd half the Ayr fans started abusing me and singing “Dirty Killie b@#$&rd” every time I touched the ball. We scored a winner right in the last minute and instead of celebrating with the boys down at the away end I turned round and gave it loads to all the home fans behind the goal. It was one of my favourite moments in football. I had taken their abuse all night and I made sure to take my opportunity to get it right up them. That last answer is probably one of my favourite answers ever in any interview I have seen. 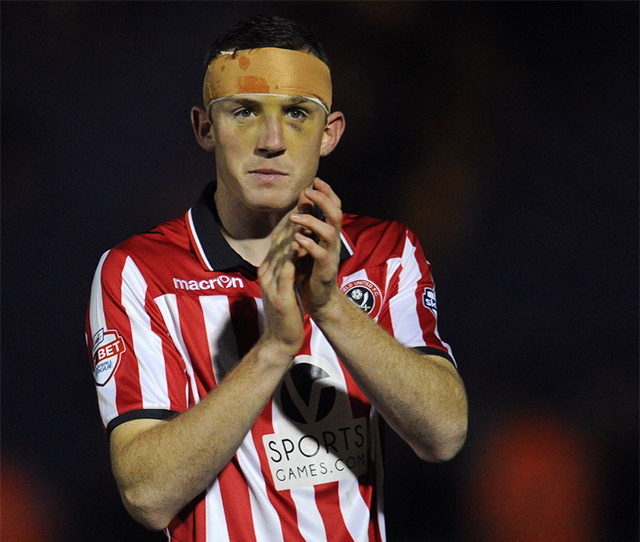 I, like many other Killie fans I'm sure, have dreamt of doing something similar at Somerset. Fantastic Neill. Hilarious! 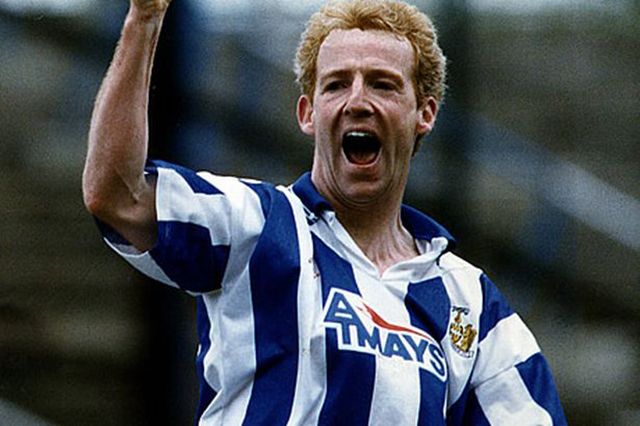 14) Tommy Burns was a Killie icon in the early nineties, what are your memories of his period at the club? Tommy Burns was my hero as a player and as a manager. I have many great memories of the great man. I remember running on the pitch after our last away game of the season at Raith Rovers and shaking his hand while he was surrounded by Killie fans. He had been in temporary charge and had led us to a fantastic end of the season. I just knew the next year was going to be our year with him in charge and the Killie fans obviously all felt the same way as they sang “Tommy Burns Blue and White army” and completely mobbed him on the field at Kirkcaldy. I once wrote to him after we beat Raith Rovers in the Scottish Cup 5-1 and you won’t be surprised to hear that he wrote back later thanking me for my support and to keep getting behind the team. I still have the letter in my Mum and Dad's house somewhere. Without doubt a Killie legend. 15) Steve Clarke is a guy you probably know from your spell in England. What are your thoughts on his half season Killie revival? There are no words to describe what Steve Clarke has achieved at Killie during the past few months. I wrote a blog after Lee McCulloch was sacked and it seemed the club was destined for relegation but more than that we were a laughing stock to the nation. The whole club has been rejuvenated since that point and thankfully people are now getting a sense of what the club is really all about and just how big a club we are. We have such a faithful and loyal following that deserved so much better than what the club was providing on and off the pitch. It is brilliant to see the numbers travelling to places like Hamilton and Easter Road in recent weeks. It reminds me of the good times under Tommy Burns. There is no higher accolade than that for Steve Clarke. 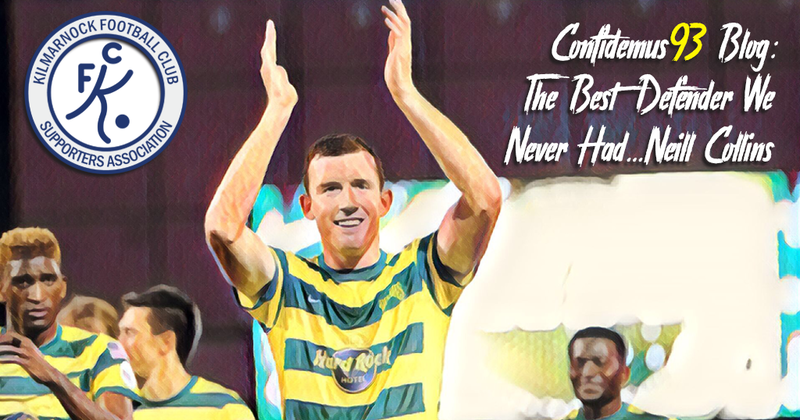 A Journeyman's View is Neill's blog well worth checking out. 16) If you personally could have featured for Killie in any game of the clubs history, which game would it be and why? ago but instead I am going to go for a game that I attended. It would have to be the Scottish Cup final in 1997. To lift a trophy as a Kilmarnock player was my dream as a youngster and still is now. Winning a trophy at a club like Kilmarnock etches your place in the history of the club. I also think I could have handled Kevin James in the air so we would have been fine with me slotting in at the back. 17) Do you feel disappointed that you never got a proper opportunity to pull on the famous blue and white stripes at some point in your career? Without doubt it is a disappointment that I never got to play for Killie although I can’t have too many regrets about my career as I have been fortunate to play for some great clubs in England. There have been opportunities in the past few years but just never at the right time and if I am being brutally honest the installation of the Astro turf pitch didn’t help matters. I was used to arriving at Rugby Park as a fan and seeing the best grass pitch in the country. It is one of the most frustrating parts of playing in the US is the Astro turf pitches we have to play on from time to time. It is like a different sport. I really hope for the fans and players sake we can get back to a grass pitch soon. 18) Can I have your best eleven that you have played with during your career? 19) What does the future hold for Neill Collins in the next few years, future Kilmarnock manager possibly? I have always had an eye on the future and had an appetite to be a manager as long as I can remember. I have my UEFA A License and I am getting as much experience of coaching as I possibly can. It would be a dream to manage Kilmarnock one day but for now I would love to play at least another couple of seasons and then see what transpires. One thing I have learned in football is that things can change on a day to day basis so you have to be prepared for that and never think to far ahead. 20) Finally do you have a message for your fellow supporters before you go? I want the fans to enjoy the fact that they have a good manager in charge and a team to be proud of on the pitch. There has been so much negativity that has followed our club for the past few years and it is the fans that have had to suffer more than anybody. No one should ever under estimate the passion and loyalty of the Killie fans it is one of the reasons we are such long serving members of the Premier League. Unlike our closest rivals we will never accept mediocrity and that is what makes us so special. Some younger fans are only just starting to get a glimpse of just how big the club really is. Before leaving Neill also provided us his favourite Killie team also having seen previous interviews.